Why would I need self storage in Reno, NV? There are a variety of reasons why you might need self-storage in Reno, NV. How much is a storage unit in Reno, NV? The cheapest storage unit in Reno, NV is $47.00 per month. What size storage units do you have available in Reno, NV? In Reno, NV we have sizes that range from 5'x5' to 12'x30' to suit your storage needs. How much is it for a 5'x5' storage unit in Reno, NV? The cheapest 5'x5' storage unit in Reno, NV is $47.00 per month. 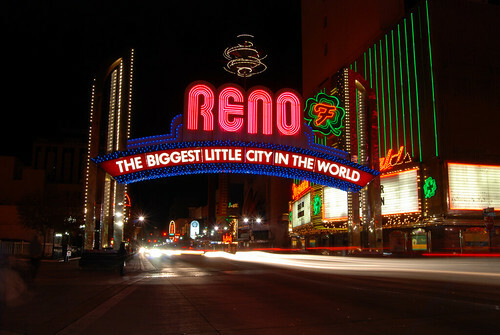 Nicknamed "the Biggest Little City in the World," Reno sits at the foot of the Sierra Nevada mountain range. The city boasts a vibrant arts scene, thrilling outdoors attractions, a thriving tourist industry and innovative city initiatives. Reno is famous for its casinos, skiing and snowboarding, with thousands of tourists visiting every year to hit the jackpot or the ski slopes. Reno has also attracted several significant accolades. The Ewing Marion Kauffman Foundation labeled it the Most Entrepreneurial Metropolitan Area, National Geographic nominated it as a Top Ten Emerging Ski Town, and it has earned a spot on several lists for its excellent livability. Even though Pleasant Valley is just a few miles from the city, it feels like a world away. Thanks to an extensive network of underground water stores, it's a lush green community crisscrossed by creeks and native plants. It's not unusual to see a herd of wild mustangs traveling through public lands in the area. The Arrow Creek neighborhood is among the most affluent in Reno, with home values rising well into the seven-figure range. It's also home to a large, private country club that features a golf course designed by golfer Arnold Palmer. Hidden Valley attracts a large number of families and boasts excellent schools and a warm sense of community.Hidden Valley Park offers walking trails and local wildlife, or you can enjoy a round of golf at the Hidden Valley Country Club. The Damonte Ranch neighborhood is one of Reno's most scenic areas, surrounded by rolling hills and lush wetlands. There are a number of parks in the community, ranging from small neighborhood green spaces to large complexes with sports facilities and recreational amenities. Skiing and playing at the casino are among the most popular things to do in Reno, but the city has plenty more to offer. Reno enjoys a satisfying arts culture and is home to the Nevada Museum of Art, the Nevada Opera, the Reno Philharmonic and the Pioneer Center for the Performing Arts. You will also find several lakes, including Lake Tahoe, offering opportunities for water sports, mountain biking and hiking. Golfers will have a ball on Reno's golf courses, and the Montreux Golf & Country Club regularly hosts a PGA Tour event. Reno has many parks, including dog-friendly parks and the only rose garden in Nevada, with 200 varieties of roses. Reno is also a very bike-friendly city, with easy access to bike lanes and trails throughout the area. The constant flow of business the city receives from ski and casino tourists makes its economy dependable and stable. Outside the gaming industry and winter sports, Reno's economy has been expanding to include health care, entrepreneurial startups and tech-based companies. Reno is part of the Smarter Regions initiative, which focuses on cultivating the economy of the metropolitan region by improving workforce development, attracting industries, growing jobs and nurturing entrepreneurs. Thanks to this initiative, Reno's economy is expected to have a bright future. The largest employers in Reno include the Washoe County School District; the University of Nevada, Reno and Washoe County. Local casinos also provide a large number of jobs, specifically in the leisure and hospitality sectors. The Washoe County School District,serves Reno's public elementary, middle and high schools. It's also home to several public charter schools and private institutions, including faith-based, magnet and Waldorf schools. Reno is the site of the University of Nevada, Reno, which is Nevada's oldest university. Truckee Meadows Community College provides a number of two-year degree programs in the city, while the Career College of Northern Nevada is the local technical trade school. Garbage and Recycling: Trash and recyclables are collected curbside on a weekly basis. Your pick-up day will be determined by your specific location. Transportation: RTC RIDE is the public bus program in Reno, providing transportation throughout the Greater Reno area. The cost of housing in Reno is on the rise, and it climbed above the national average several years ago. The good news is that Reno has a wide range of housing options, ranging from studio apartments to large single-family homes. You'll be able to find something that fits both your budget. Our lowest priced units in Reno, NV average $90.83 per month. 457 people have reserved units in Reno, NV in the past 30 days. There are 6 locations within Reno, NV's city limits. There is 1 location in Reno, NV that offers AC and Heating features.